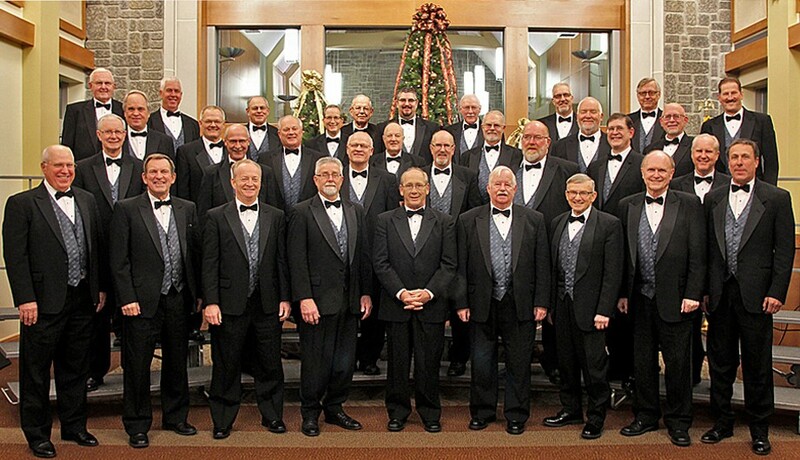 The King's Choraliers of Grand Rapids, Michigan, a male chorus comprised of men with diverse occupations, has roots dating back to 1950. The chorus was organized by Peter VandenBosch, who directed them for 23 years. The second director, Robert Talsma, a graduate of Calvin College and Western Michigan University, led for 19 years. For the Next 19 years the chorus was directed by Donald Scott, also a graduate of Calvin College and Western Michigan University. Currently the chorus is under the direction of Ronald Rogers, a graduate of Wheaton College and Michigan State University. Enhancing the group's commitment to vocal excellence is accompanist Chuck Brower, an accomplished organist and pianist well known throughout western Michigan. The Choraliers, united by a common desire to share their love for Jesus Christ through song, frequently present their message in churches, schools, and prisons. They have sung in great auditoriums and halls across North America. Notable locations include Coral Ridge Presbyterian Church , Fort Lauderdale; The Crystal Cathedral, Garden Grove, CA; The Church in the Square, The Villiages, FL; North Lake Presbyterian Church, North Lake FL, Fourth Presbyterian Church, Chicago, IL, Danville Correctional Institution, Danville, IL and the United States military chapels at West Point Academy, New York; and the Air Force Academy, Colorado Springs. The King's Choraliers feature a repertoire of spirituals, anthems, and hymns sung in a variety of styles ranging from classical to contemporary. Benchmarks of the chorus are, and always have been, quality and variety. O Worship the King has served well as the theme song for 50 years. Supported almost entirely by faithful and generous individuals and corporate friends, the ministry of The King's Choraliers has no established fees for concerts or services. Free will offerings and charitable gifts are gladly accepted.